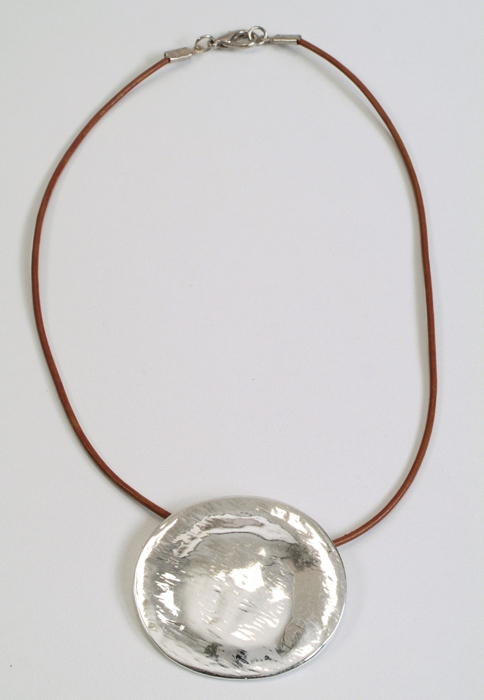 Anava Jewelry designs these very shiny disc pendant necklaces in either silver or gold plate. Enjoy a striking modern, casual look with these simple round pendant necklaces by Anava Jewelry. 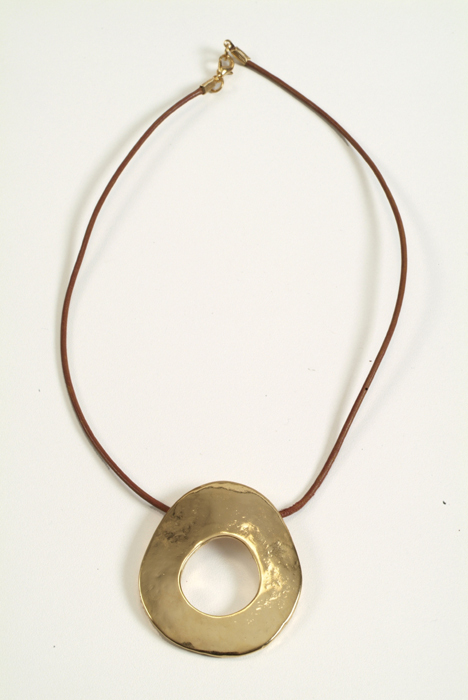 Israeli jewelry designers Anava make the round pendants in two styles - a solid disc of beaten metal with a raised, round center and irregular edges, or a circle pendant of beaten metal with a cut-out center. 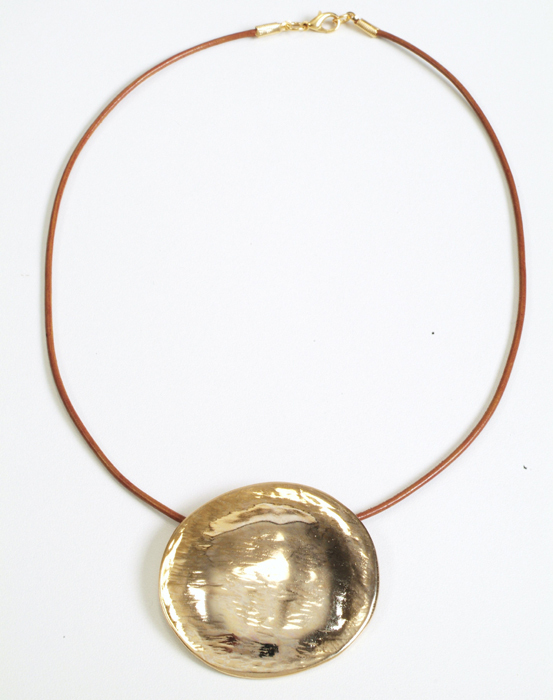 The pendants, of highly polished gold or silver plate, are crafted by hand, as evidenced by very slight variations in each piece. 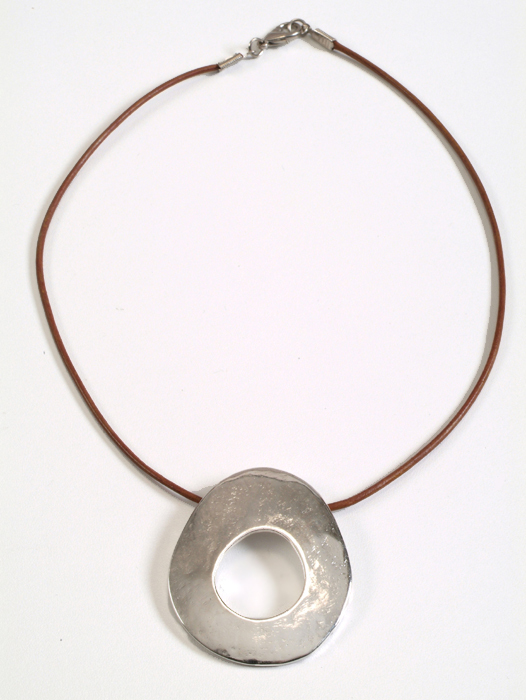 The pendants hang from a single-strand brown cord. The necklaces measure 17.7 inch (45 cm). The necklaces are available in highly polished gold or silver plate that will add a gleam of style to any outfit, allowing customers to choose from a total of four versions of this pendant necklace. Anava Jewelry produces fine handcrafted designs that will appeal to lovers of casual jewelry and modern Israeli jewelry design. Great gifts!